Microsoft Sheriff of the Internet, confirms it’s acquiring GitHub for $7.5 billion | News by Wales Express News, People Before Profit! Warning: As you read through this story, you will discover how Bitcoin is in fact regulated, you just didn’t know about it yet! All that is about to change….. This is Microsoft CEO Satya Nadella’s second big acquisition, following the $26.2 billion acquisition of LinkedIn two years ago. GitHub was last valued at $2 billion back in 2015, and Microsoft is paying $7.5 billion in stock for the company in a deal that should close later this year. GitHub is a large code repository that has become very popular with developers and companies hosting entire projects, documentation, and code. Apple, Amazon, Google, and many other big tech companies use GitHub. There are 85 million repositories hosted on GitHub, and 28 million developers contribute to them. GitHub will now be led by CEO Nat Friedman, the founder of Xamarin, who will report to Microsoft’s Cloud and AI chief Scott Guthrie. GitHub CEO and co-founder Chris Wanstrath will now become a technical fellow at Microsoft, also reporting into Guthrie. It’s easy to imagine why Microsoft would want to acquire GitHub. Microsoft killed its own GitHub competitor, Codeplex, in December and is now the top contributor to GitHub, Microsoft now has more than 1,000 employees actively pushing code to GitHub repositories. Its popularity among developers could see Microsoft earn some much-needed trust and respect from developers. In bigger enterprises and slower moving businesses, the fact Microsoft has acquired GitHub will make it more trusted to use for projects and source control, simply because Microsoft is already trusted across many software and services by these companies. 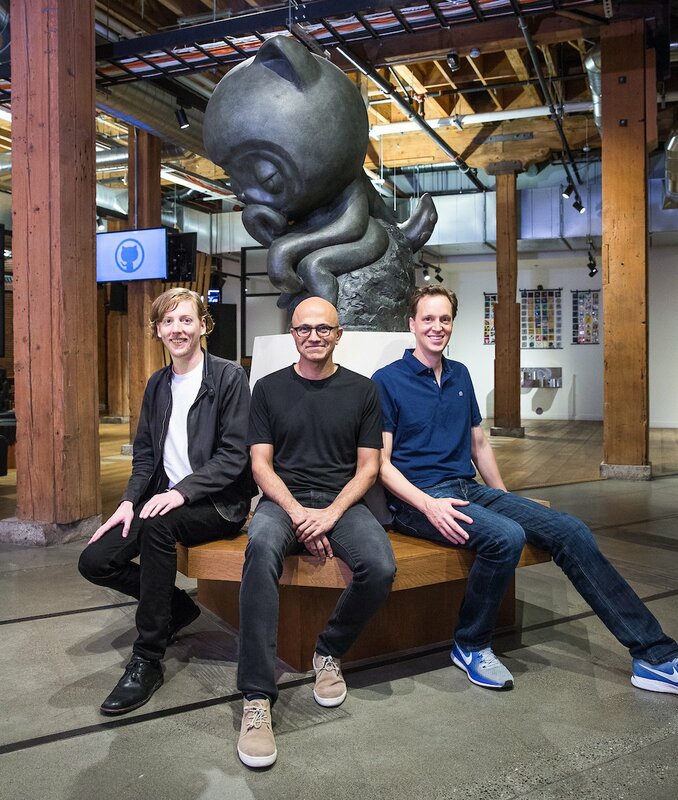 “We will accelerate enterprise developers’ use of GitHub, with our direct sales and partner channels and access to Microsoft’s global cloud infrastructure and services,” says Microsoft CEO Satya Nadella. Trust and respect won’t be easy for Microsoft to win, though. Developers are already voicing their concerns about Microsoft’s past abuses, and the company’s botched acquisition of Skype and Nokia’s phone business. GitHub itself hasn’t scaled well and has faced its own issues over the years, and there are legitimate concerns that Microsoft will need to address. GitLab, a GitHub competitor, claims it has seen a 10x increase in the amount of developers moving their repositories over to its service, an early sign that there’s some developer unrest. Microsoft won’t be able to address the general concern that important tools and internet services keep being consolidated into the hands of a few big tech companies. “When it comes to our commitment to open source, judge us by the actions we have taken in the recent past, our actions today, and in the future,” says Nadella, in an attempt to ease concerns around Microsoft’s acquisition. Microsoft also partnered with Canonical to bring Ubuntu to Windows 10, and acquired Xamarin to assist with mobile app development. These are moves that have been met with surprise by developers initially, but that have earned respect. It’s essential that Microsoft stewards the GitHub community forward to earn even more trust and developer love. The Microsoft old isn’t the Microsoft of new, and this GitHub acquisition is a chance for Microsoft to prove that even further. Four arrested as police work with Microsoft to crack down on fraudsters. 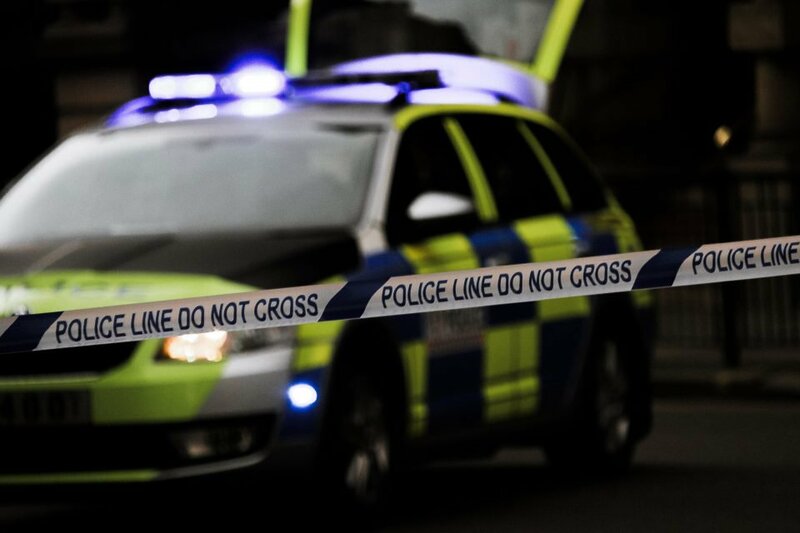 Police have arrested four people in the UK as part of an operation to crack down on fraudsters who pretend to work for technology companies such as Microsoft. A 29-year-old man and a 31-year-old women were held by Surrey and Sussex Police’s Cyber Crime Unit in Woking on suspicion of fraud. They have since been bailed. In South Shields, a 37-year-old man and a 35-year-old woman were arrested by the North East Regional Special Operations Unit (NERSOU) on suspicion of fraud. Both were later released pending further enquiries. Microsoft founder slams digital currencies as Apple co-founder Steve Wozniak reveals he was victim of bitcoin scam. 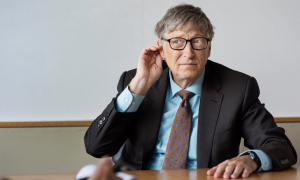 Bill Gates, the philanthropist and former chief executive of Microsoft, is concerned by the crytocurrency craze, saying that the anonymity offered by the new technology has “caused deaths in a fairly direct way”. Gates also suggested that investing in the sector is a bad idea: “I think the speculative wave around ICOs and cryptocurrencies is super risky”.